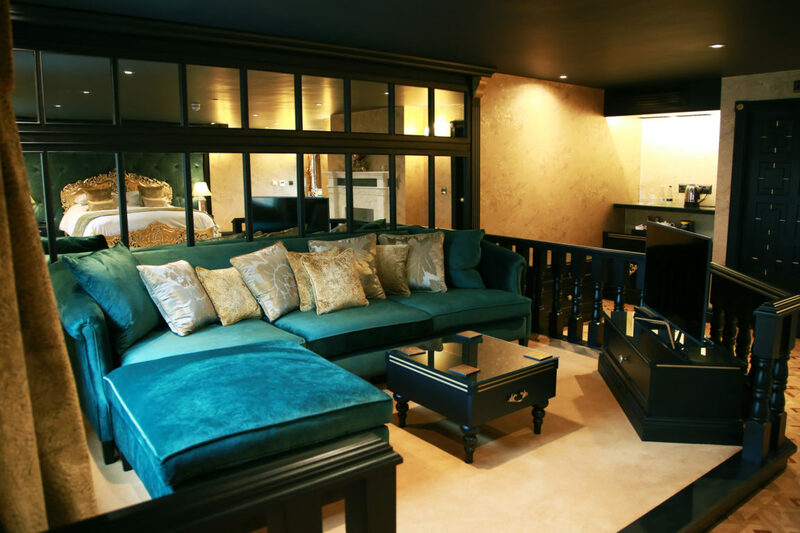 Arguably our most classic and opulent suite, think sumptuous velvet, smooth leather and gold gilding. 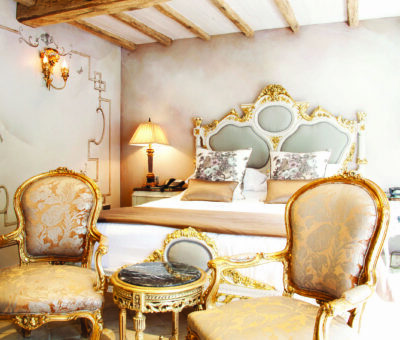 The Hermitage is the historical heart of St Petersburg and the winter home of the Tzar of Russia. 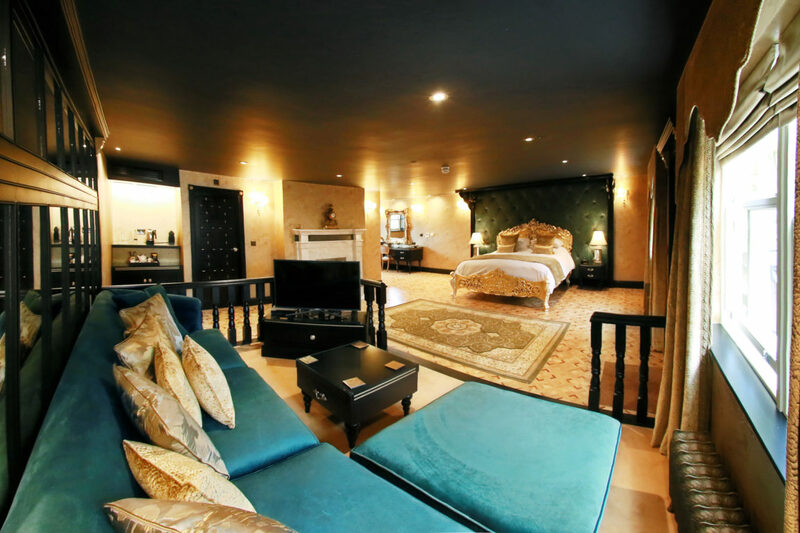 Russia is known for its opulent high-class décor, with that, no expense has been spared to create a taste of splendour in this luxurious suite. 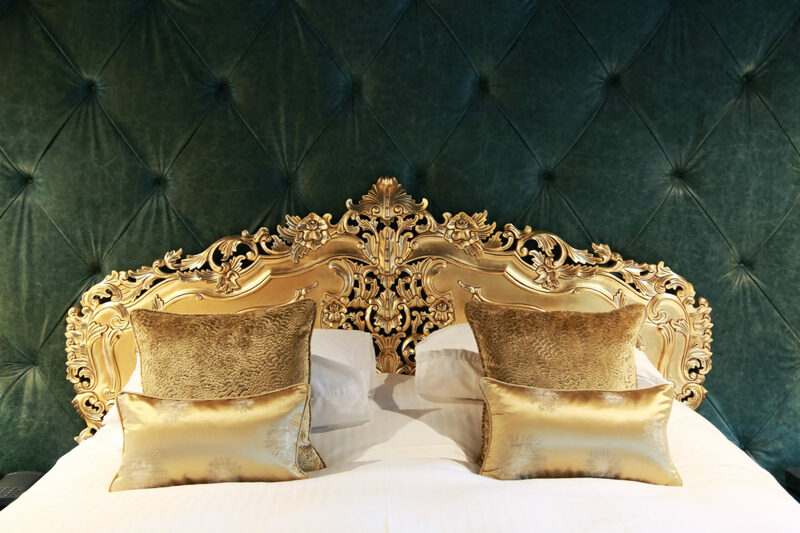 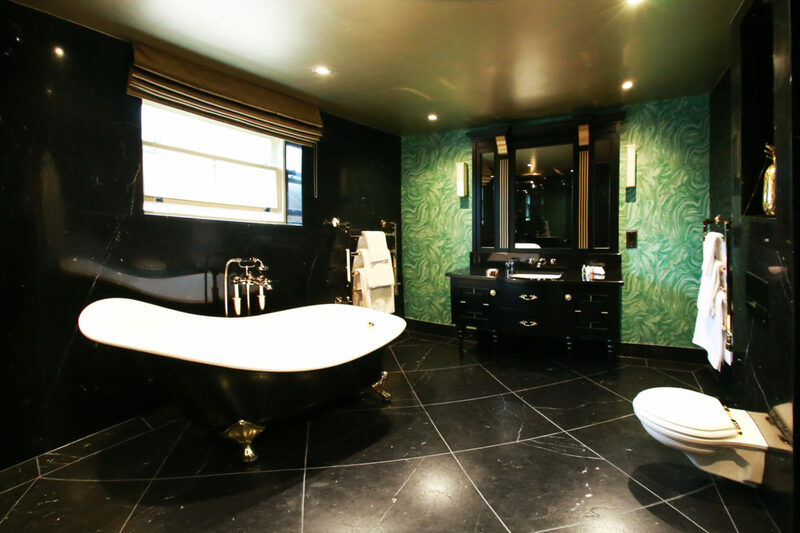 The walls are adorned with deep green leather and mirrored panels, topped with beautiful gold corbels and detailing. 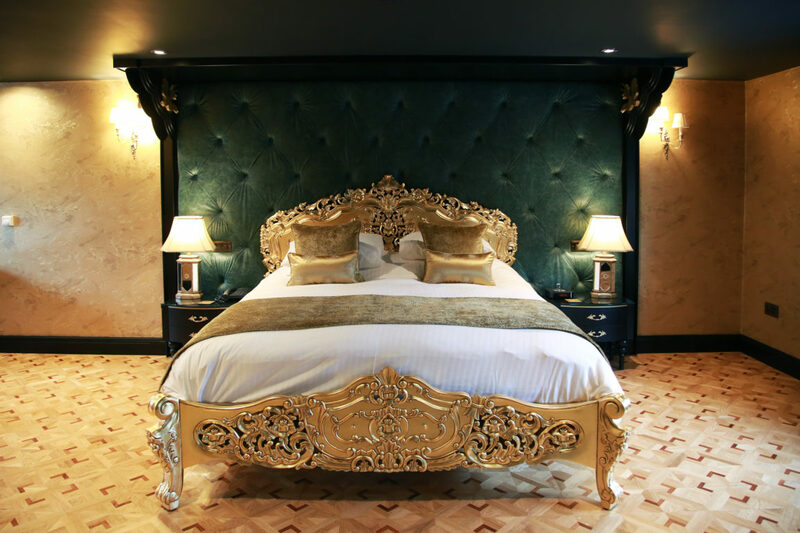 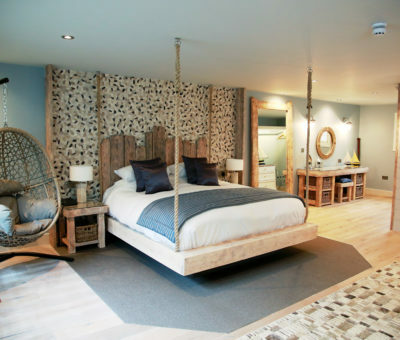 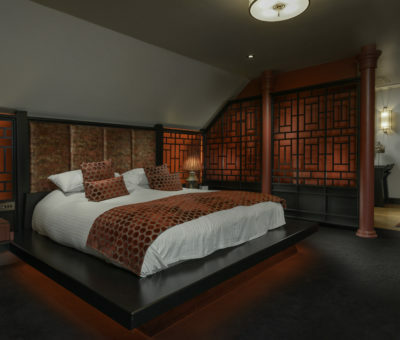 The Hermitage also includes state of the art air-conditioning, complimentary drinks within the in-suite fridge, a personal lounge area, a super king-sized bed, roll top bath and rain shower. 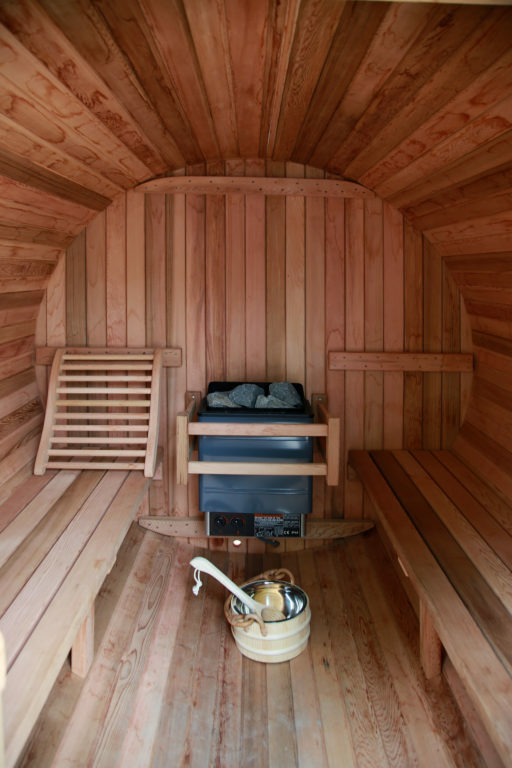 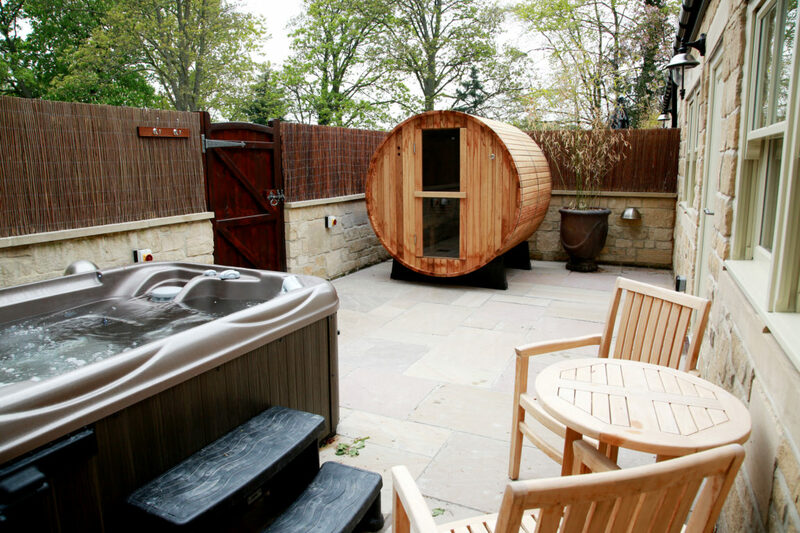 Outside, guests will enjoy a private terrace complete with hot tub and sauna, divine!